Abbey Road Red is not a typical incubator or accelerator. We are a value-adding platform with a unique set of assets to help founders develop and excel. Our combination of history, expertise, reach and a completely bespoke approach for each start-up is what makes our incubation process special and inimitable. We derive our name from Abbey Road's Record Engineering Development Department (REDD), which in the '50s created what many call the blueprint for the modern recording console. We sit inside the walls where Alan Dower Blumlein conducted his experiments for the patenting of stereo, and where The Beatles and many other artists ripped up and rewrote the recording rulebook as well as left their mark on culture and history. You walk through the building and feel history in the walls, corridors and equipment. You watch talented musicians walk around - you never know who you'll see, feel the influx of energy in the café while orchestras break and look with you at pictures of icons on the wall having their lunch just across from where you're sitting, say hi to the engineers who preside over the etching of wonderful music into analogue and digital forms of the highest and most enduring and meaningful quality. I could go on. It's a joy to share that inspiration with founders and invite them in. They get to wear our badge as we do theirs, and they can take inspiration from, work in and host meetings, and generally enjoy the site, its buzz and history. This is not a boilerplate programme. Over a six-month incubation period we try and give each start-up and founder(s) exactly what they need to get to the next stage in their journey. What that means is that we put them all through standard onboarding meetings with our team but after that everything we do for them is tailored precisely to their development needs, which are different for each one. Every choice we make with them – for example introducing them into the key music industry contacts, how to develop their product and revenue strategy or how we work with them on business development and financing – is driven by their needs and the plan we create with them. Six months is also an ideal timeframe. Long enough to keep the incubation relaxed while focused, giving founders time and space to digest learnings and iterate before the next push within the incubation, while not feeling boilerplate or like being put through a washing machine, and not too long to lose focus either. The nature of our management team and reach across the business is also unique. Red is run by a dedicated two-person team with deep and wide skillsets in music and tech. This team can draw from the expertise of everyone onsite at Abbey Road, from management to engineers and technicians; from our board members at Universal Music UK, from COO to leaders in strategy, licensing, technology, publishing, commercial affairs and more; and across Universal Music in the UK and globally. It doesn’t stop there – we reach all the way across the music and wider technology and media businesses. We open doors to access finance and other specialist services. We are connected to London, regional and governmental agencies internationally as well as every media-related VC in Europe and many of the major houses globally. We try and meet as many interesting people as possible, every day of the week, from every part of the world. All with a view to helping our start-ups and founders grow. Over the years we have assembled a loose band of close friends of Red who have been willing to provide time to each set of founders as they come through the programme. Today we are pleased to be formalising that network. The following 22 Abbey Road Red mentors have promised their time to help us and our founders. We decide with each start-up who they would be best served to talk to based on their bespoke incubation programme goals and make it happen. Our network of mentors provides leading expertise in all areas touching the music industry – take a look at the line-up below to see where and how. Need advice on music industry trends, machine learning, IP strategy, business development, product to market fit & strategy, licensing, product development, founding/exiting and more? We’ve got you covered. It's not that each mentor is limited to their current focus or achievements either. We've found each to be highly experienced and networked across the music and wider media landscape, passionate first and foremost about music but also popular culture, creativity, humanity, people and life as well. 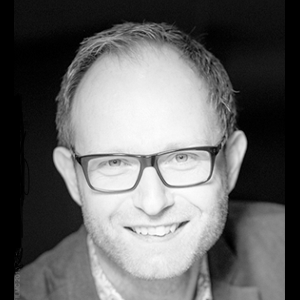 Cliff joined Lewis Silkin LLP as a Partner in April 2006 after a decade as in-house counsel in the music and broadcast industry and founded its market-leading Digital Media & Brand Entertainment group. He acts for some of the world’s largest names in mobile, brands, talent, recorded music, mobile, live music, radio, audio-visual production and online. 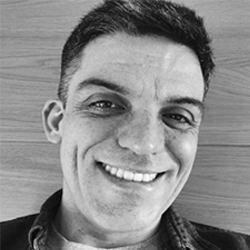 He also specialises in working with clients whom are embracing content-based entertainment and technology for the first time such as FMCG and lifestyle brand owners, advertising agencies, digital agencies, investment funds and financial institutions. 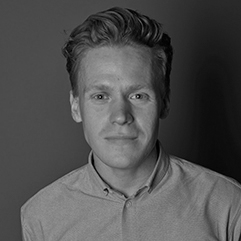 He has a passion for working on innovative new business models and in relation to the monetisation of rights. Cliff is also the founder and Managing Director of Eleven, a business advisory and corporate finance firm working with disruptive business models in the world of Digital Media, Film and Sport where he advises large corporations, brands and investors on digital innovation and works with start-ups at the cutting edge of music and technology, especially in the realm of the Sharing Economy, Social Video, Internet of Things, Artificial Intelligence and Blockchain. 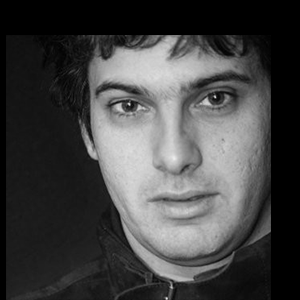 Chagall is an Amsterdam-born, London-based electronic music producer, songwriter, singer, performer. 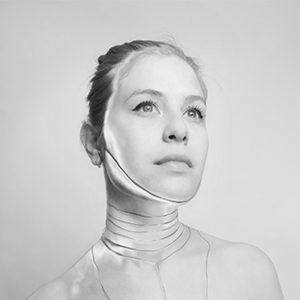 Her music combines soulful vocals, heartfelt harmonies and lyricism with heavy but constrained electronic production. In 2014 Chagall joined Imogen Heap’s MI.MU Gloves development team in search of a way to perform her mostly ‘in the box’ created music live that would be more captivating than pushing buttons and sliders. With performances at e.g. SXSW, Amsterdam Dance Event, TEDx, MUTEK Montréal, Reepberbahn, Latitude Festival, STRP, Ableton Loop, Sonar +D, Boiler Room, Green Man and Nesta Futurefest Chagall is one of the most experienced users of the technology to date. She is also a UK representative of the PRS Foundation Keychange programme, an initiative empowering women to transform the future of the music industry by showcasing, speaking and collaborating at festivals in Europe & Canada in 2018. In 2018 Chagall started exploring the world of Virtual Reality and received a double nomination for her debut ‘Ukiyo Cave::Surely’ at Raindance Film Festival in September 2018. The experience accompanies her latest single ‘Surely’. She is now researching the possibilities around live full body motion capture to perform her whole ‘Ukiyo Cave’ EP (scheduled for 2019) in VR as well as live on stage. 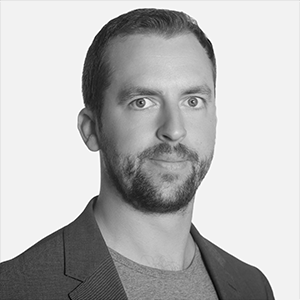 Gareth is a Business Development consultant working at the intersection of technology and innovation in the creative and entertainment industries. He’s held senior roles at major labels and market leading start ups. His specialisms include strategy, innovation and pipeline development. The head of the International Live Music Conference (ILMC), Greg has spent two decades involved in the international live music industry. ILMC publishes IQ, the leading source of news and content for the business, as well as various annual publications. In 2015, Greg launched the International Festival Forum, an annual showcase event for booking agents and music festivals. In 2017, he launched the Event Safety & Security Summit. 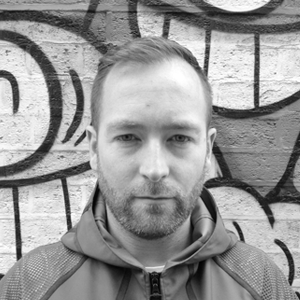 Greg is a published author and book editor, and a founding member of the UK Live Music Group. Due to one too many pub conversations, he also holds the Guinness World Record for Most Music Festivals Visited in 30 Days. Jack founded and ran a leading creative, content and experiential agency for many years, growing from 2 to 150 people across 7 global offices [FRUKT]. FRUKT created services, platforms and marketing programmes for world leading clients [Coca Cola, Mastercard, O2, Jaegermeister, Heineken, AB InBev, Diageo, Sony]. FRUKT owned their own events and published a subscription based trade publication, released white papers and created content - fully integrated (apart from TV ads - not our bag). Prior to this 15 year chapter Jack studied music and worked as a producer, and in the mid nineties was in the first wave of then called New Media people imagining the future once dial-up speeds improved! [Warner Music Group, WEA]. Moving on to running entertainment clients and did digital strategy for a pioneering digital shop [AMX Studios] and lastly did a stint in the Media team at one of the big five [Accenture] as a sector specialist and creative content strategist. FRUKT was sold to Interpublic Group in 2012 and after 15 years Jack is wearing some new hats. Everything Jack does is underpinned with a philosophy that people and conversations coupled with an endless curiosity to learn and discover more are the fuel for creativity, inspiration and ultimately what creates game. During Jon's time working at Abbey Road Studios, he established and led Abbey Road’s new technology and innovation arm Abbey Road Red, taking the department from initial conception through to a world renowned music and technology incubator counting 11 music technology companies as its alumni. Since leaving the studios, Jon has taken up a new position as Director of The Rattle, which is a new home for artists and music tech entrepreneurs: studios, rehearsal spaces, co-working and world class mentorship, all set-up to support members as they build their careers and businesses, and create a new culture around music. Katherine currently runs a WPP team designing Digital Products and Services for Ford Globally. She runs a multi-agency team from Ogilvy, VML and GTB, to deliver digital experiences that drive brand engagement, loyalty and revenue for Ford in 20+markets. 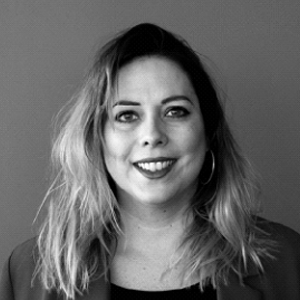 Katherine has over 18 years of experience in marketing consultancy both agency and client side and specialises in data-driven customer experiences, service and product design. She has led teams to deliver award-winning work for Jaguar Land Rover, American Express, Costa Coffee and The Carphone Warehouse. 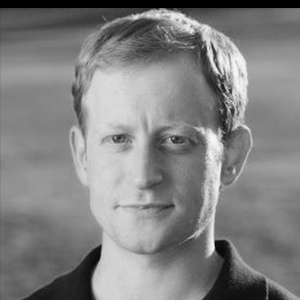 Kevin Brown is a distinguished music industry veteran, credited with having played a critical role in driving Spotify’s explosive growth over the last 5 years having been the most senior industry facing exec ex US over that time. This combines with 20+ years of senior level label experience in both domestic and international roles with both independent and major record labels, and significant artist management experience with global superstar artists. This uniquely positions him to understand the current music industry landscape from all perspectives, especially at the intersection of music and tech. He is now acting as a trusted guide to this landscape to a small group of future facing clients via his agency "All Sides Music" - current clients include labels, artist management companies, digital platforms, venture capitalists and music industry trade bodies. Lizzie is Co-Founder of Curve, a creative leadership and innovation company, working with senior leaders from organisations including Coca Cola, the BBC, HSBC and Unilever to navigate change and industry disruption. She has spent her career helping brands, agencies and start-ups to design and develop products and services that facilitate new growth. 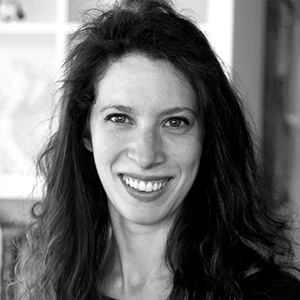 In addition to her work with Curve, Lizzie is a Director of Innovation Social, a global community of leaders in innovation and service design. Lizzie was previously Head of Innovation at global digital agency, Digitas, where she won the IPA's inaugural Women of Tomorrow competition for her strategic work. Mark is a tech startup and agency hybrid with experience in scale-ups, music, marketing, consulting, creative strategy, EdTech and more. 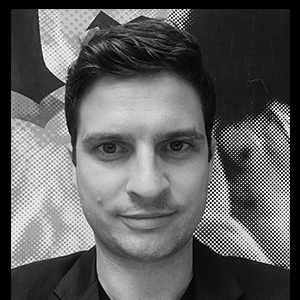 Currently a Consulting Partner at Ogilvy Consulting, London, he works with a range of clients, including Samsung and MINI to define future-proof brand, marketing and innovation strategies. He previously built out the Brand Marketing & Communications function as part of the management team at SoundCloud in Berlin, helping to grow the world’s largest audio platform from 3 to 175 million users by focusing on earned and owned channels, product launches, product development and marketing partnerships. An enthusiastic musician - writing, recording and (very) occasionally performing music in any spare time he can still find - he still proudly owns soundcloud.com/mark. 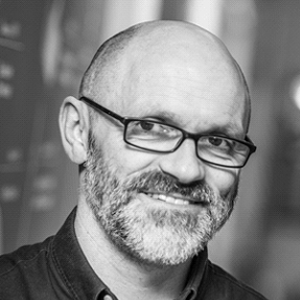 Mark is delighted to be bringing his broad experience to Abbey Road Red to help solve the marketing and scaling challenges of the fascinating mix of companies on the programme. 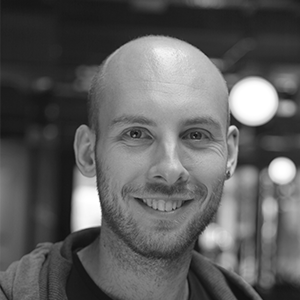 Martin Gould is a Senior Product Manager for Spotify. He joined Spotify via the acquisition of his former company, Sonalytic, where he served as CEO and founder. Martin is also a Visiting Research Fellow at the University of Oxford, where he lectures on the postgraduate mathematics program. Before Sonalytic, Martin earned his PhD in mathematics from the University of Oxford, and worked as a Postdoctoral Research Fellow at Imperial College London. Martin's passions lie at the intersection of music, science and technology, with a particular emphasis on developing new machine learning techniques to help understand, catalogue and classify audio. He is an avid record collector, and spends virtually all of his vacation time at music festivals. Michelle is an associate within Ashurst's Digital Economy team, specialising in technology, intellectual property and data. She has strong experience working with technology based companies (including music tech) - from start-ups to market leaders. 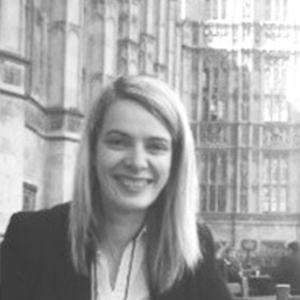 Michelle has worked on a number of pioneering technology projects, previously adjudicated UK innovation funding competitions and hosted technology based events at a number of start-up campuses. 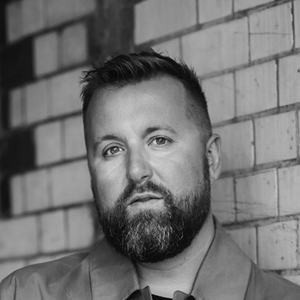 Originally hailing from London, Nick serves as Spotify's Director of Corporate Development and has spent the last six years living and working in NYC. In his current role, he helps lead the company's M&A and investment strategy and execution, such as the recent transactions with Tencent, Loudr, and Niland. Prior to Spotify, Nick spent a short time at Songza, co-founded an edtech business, and received an MBA from Columbia Business School. 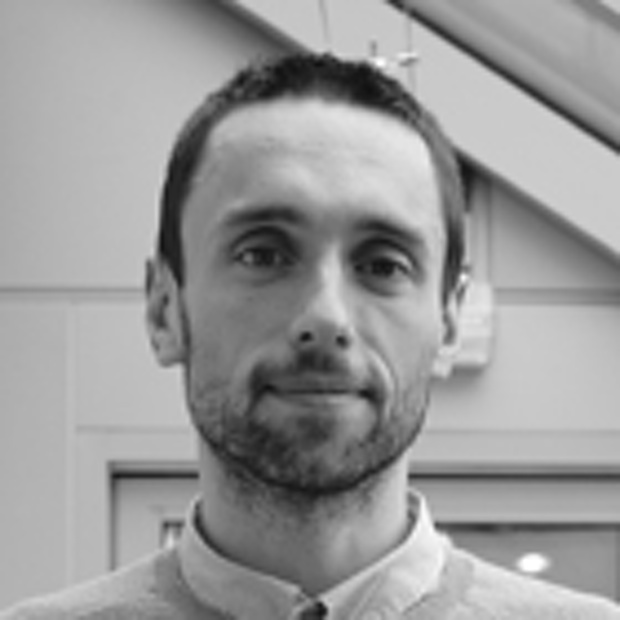 He has also worked across Europe as a strategy consultant for Roland Berger and has studied in Edinburgh and Hong Kong. 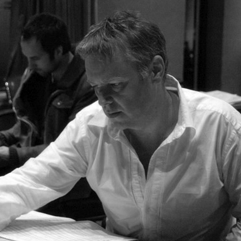 Peter Cobbin is an international recording/mix engineer and producer based in London. Cutting a recording career in the Australian music industry and having been nominated as engineer of the year, Peter made the move to the UK in 1995. He was Senior engineer at Abbey Road for over 21 years and became Director of Engineering, a position created for him to oversee various developments at the iconic studios and support the establishment and growth of its audio products business. A small selection of recording artists Peter has worked with include : Ed Sheeran, Amy Winehouse, U2, Prince, Air, Sting, Mick Jagger, Janet Jackson, Kate Bush, Kanye West, Bjork, Emmylou Harris, Underworld, Bob Dylan, Annie Lennox and Paul McCartney. In his early years at Abbey Road, Peter helped pioneer developments and techniques of surround sound and ensured the famous studios be the vanguard of technical excellence. 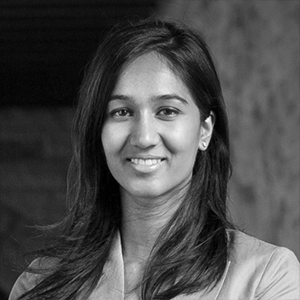 Priyanka is building the new digital renaissance via audio technology, with experience in a range of strategic business and technology-focused roles, and a focus on emerging technology and thought leadership. She serves as Program Director at Real Industry, leading strategic partnerships between music, digital media and entertainment tech companies and top-tier universities for collaborative product innovation and thought leadership with 15,000 STEM students. She recently launched Stanford’s first media tech startup incubator course, Real Startup. Previously, Priyanka founded mobile music startups through Stanford’s StartX and Graduate School of Business incubators. She is an advisor and industry expert at several incubators including Abbey Road Studios Red, Nashville Entrepreneur Center, and Stanford Cardinal Ventures. Her work has received coverage in NZ by RadioLIVE and Engineering New Zealand, and internationally by outlets including Billboard, Variety, GRAMMY, NASDAQ, Financial Times, and Voice of America. 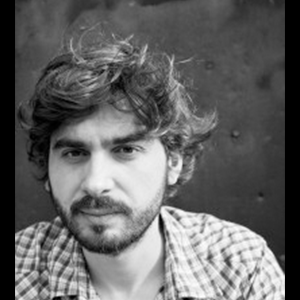 Robert Thomas is a composer, producer, sound designer and programmer. He often creates music and sound experiences which adapt in realtime to the listener or are interactive. He uses a range of techniques and approaches from adaptive systems, algorithmic, generative, stochastic composition, procedural generation and machine learning / artificial intelligence. 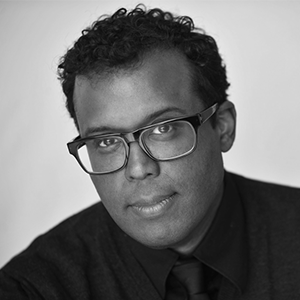 He composes and programs bespoke experiences for each project. 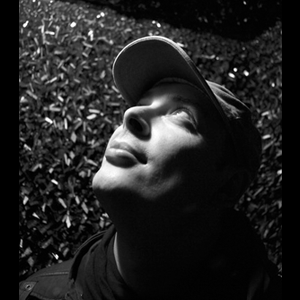 Robert has collaborated with Massive Attack, Imogen Heap, Hans Zimmer, Ben Burtt, Richard King, Tom Holkenborg, Carl Craig, Air, Bookashade, Jimmy Edgar, Mel Wesson, Little Boots, Chiddy Bang, Console, Sophie Barker (Zero 7) and Kirsty Hawkshaw (Opus III, Orbital, Tiesto). Vanessa Higgins (also known as musician Vanessa Knight) has been a touring artist for the past 12 years. Highlights have included: supporting Carlos Santana at the LG Arena, 4 consecutive years a sell-out at the Edinburgh Festival, and building a strong following in Scandinavia where she still frequently performs. After forming her own independent label/publisher "Regent Street Records", Vanessa was soon elected to the BPI council. 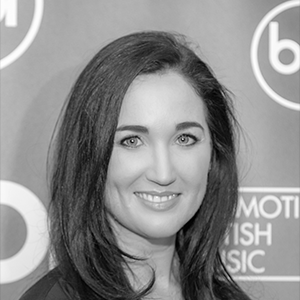 With a strong interest in tech and the future of the music industry, Vanessa re-launched the BPI Innovation Hub in 2016, bringing the cutting edge of tech to record labels of all sizes, both independent and major, and remains at the helm to this day. We are delighted to officially announce and welcome this initial set of mentors to Abbey Road Red. We thank those who have already given us and our start-ups so much time in our first three years and look forward to actively working with all our mentors in 2019 and beyond. We will be growing this network over time, always seeking to give our start-ups the most value we can.